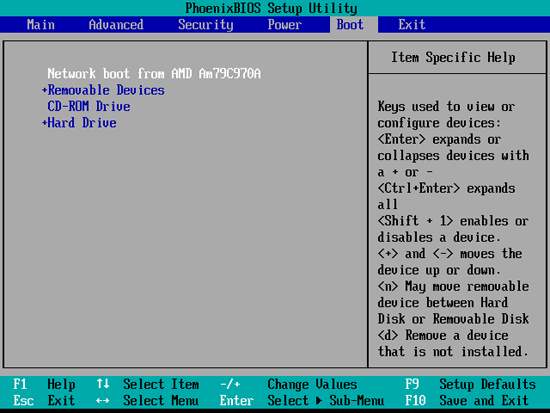 Before the client system boots, enter its BIOS again and configure it to boot from the hard drive! If all goes well, the computer should boot into the cloned operating system. The solution is to boot into a rescue system (e.g. Knoppix or the Ubuntu Live-CD) and install GRUB from the rescue system. In this example, I have one big partition (/dev/sda1) that also contains the /boot directory (the Boot column is marked with a star). 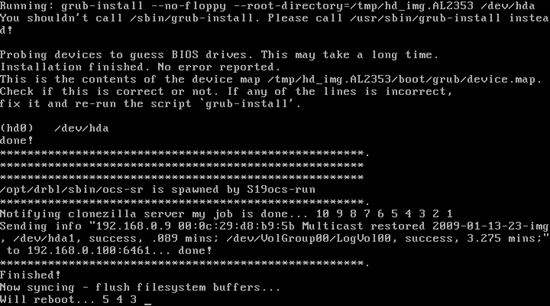 chroot /mnt grub-install --no-floppy "(hd0)"
[email protected]:~# chroot /mnt grub-install --no-floppy "(hd0)"
You shouldn't call /sbin/grub-install. 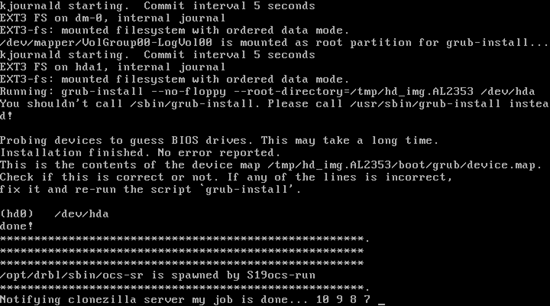 Please call /usr/sbin/grub-install instead! /dev/sda1 does not have any corresponding BIOS drive. This is the contents of the device map //boot/grub/device.map. ... and don't forget to remove the Knoppix or Ubuntu CD from the CD drive. If everything goes well, the GRUB error should be gone, and the system should boot without any problems. Thank you so much for making this tutorial! Greatly appreciated! Though, the main reason for using Clonezilla is that it can restore many computers at once. If the bootloader becomes corrupt during restore - my interset is gone. I won't manually install new bootloader on all the computers - it will be a timesaver using PING (Partimage Is Not Ghost) and restore from DVD's instead. I would really like to know why this happens? There must be a reason. How to prevent it? From what I can see, PING uses a very similar way of cloning PC's - but the bootloader doesn't get corrupted! I guess I don't understand. Why would I use this, instead of kickstart or preseed? I would love to set this up using my Ubuntu 11.04 Server as a main backup point for my three Windows boxes, and have it all be totally automatic. I have scripts to wake the PC's up and shut them back down, and setting them to PXE boot is trivial. I follow on how to set up the PXE server on my Linux box, setting up DRBL, etc, but every tutorial I read on how to actually BACK UP the client has things like "Press Enter", select this, click that. I see that there is a command line option for CloneZilla and after you go through the process of selecting everything, I see it gives you command line output of what to put in next time. I suppose my question is, as I am a bit of a newbie here, how would one go about setting up a totally, utterly, completely unattended bare metal backup of three machines with multiple hard drives every single night? I know how to set up cron jobs and I have seen many articles on backup rotation and it shouldn't be too hard to modify a script to change the filenames of the backups, but how (is it possible) to configure something on the client end to do all of the above? Thank you all ever so much for writing such great articles.